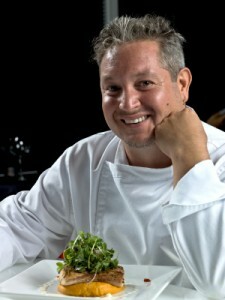 Do you want to know how to make an Executive Chef weak at the knees and breathless? Offer them a farm that grows an unlimited supply of fresh pesticide-free food and home-grown fish that’s near their kitchen. Then, after they wipe tears of joy from their eyes, tell them that the farm pays for itself and after that, the money they had been spending on food from their suppliers can now be spent on increased salaries and kitchen improvements. Since they’ll be speechless, expect a hug. Today, Portable Farms® Aquaponics Systems offer fresh food and home-grown fish in an easy to operate system that pays for itself. What could be easier? This really is 21st Century Agriculture. If a chef has been ordering 2 cartons of lettuce per week (24 heads per carton) from the food supplier who delivers his produce, now he only needs to plant 48 seeds in ‘grow medium’ into his Portable Farms® Aquaponics System. By planting every week, he never needs to order lettuce again. It only takes 35 to 40 days to grow a head of lettuce. Plus, the produce won’t need to travel from local or long distance farms or endure packing and refrigeration so the food retains all of its flavor and high nutritional value. The chef can always harvest their vegetables at their ‘peak’ of perfection instead of receiving vegetables that were harvested and shipped too early. These systems are a perfect example of a Carbon Negative footprint, especially when compared to in-ground growing and current agricultural practices. The Portable Farms® Aquaponics Systems can be sized to meet the food requirements of a restaurant. A 20 x 30′ system can be placed in the parking lot behind a restaurant and will grow 3,600 vegetables and 1,400 pounds of fish per year. This size farm won’t grow enough food for the needs of even a small restaurant with a regular customer base. However, it is large enough to supplement their food supply from existing suppliers and adds ‘bragging rights’ to customers and the local media to increase their customer base because they’ll be able to tell the public they ‘raise a portion of their own organic vegetables behind the restaurant and it also provides some of their own fresh, home-grown fish.’ They can also offer their customers a tour of their farm creating an even deeper customer loyalty. A positive dining experience and a greenhouse tour will spread the excitement around town, within days. A larger restaurant who wants to reduce food costs, should consider a 90 x 120′ (1/4 acre) Portable Farms® Aquaponics Systems near the restaurant. This size Portable Farms® grows 60,000 to 70,000 vegetables and around 21,000 pounds of fish per year, depending on the crop choice and the market values for those crops, the ROI for this sized unit is between three and five years. The ROI is much faster for commercial sized systems because they have far more growing space for vegetables and tank space for fish. What is a Portable Farms® Aquaponics System? The Portable Farms® Aquaponics System is a closed loop, water-based fish and organic vegetable production system. It utilizes insulated and heated fish tanks to grow Tilapia, and then runs the warm water from the fish tank (rich with warm, nutrient-rich fish waste) through a clarifying system with special pumps, and then the water flows through gravel-filled Grow Trays to feed and water the growing plants. The entire system is built in modules; each module (shown below) contains one fish tank, one settling tank, and of course, the food growing space. These modules are enclosed in a climatically adapted growing structure, usually a greenhouse. 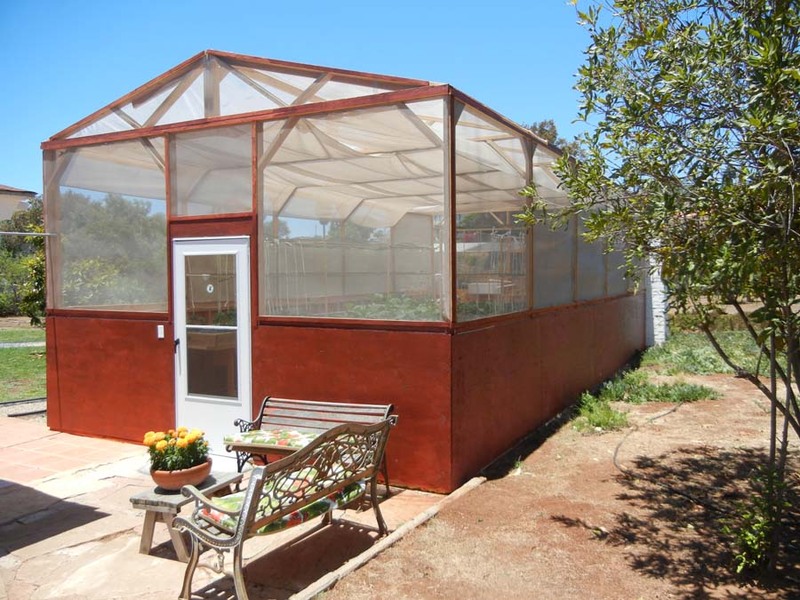 The structure keeps out pests and helps maintain a perfect growing temperature. A commercial sized system contains between 28 and 32 modules. The Portable Farms® Aquaponics Systems are specifically designed to utilize currently unused urban or near-urban space to grow food as close to the end consumer as possible. It is not designed to replace regular land-based agriculture. The main function of the Portable Farms® Aquaponics System is to produce nutritious food, on site, using a minimum of space, electricity, water and labor. Owning a Portable Farms® Aquaponics System takes all the ‘middle men/women’ out of the equation. In fact, one full-time, semi-skilled worker can operate and maintain over 1/4 of an acre of Portable Farms® Aquaponics System. It’s not quite ‘a drive through farm,’ but it’s close. Make YOUR chef happy today. 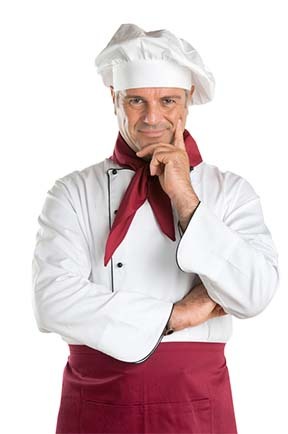 A happy chef creates a happy and prosperous restaurant with loyal customers who tell all their friends about their dining experience. It’s the best investment you can make in today’s competitive environment. LEARN FROM US: CLICK HERE.